Currently viewing the tag: "Boch Center"
BOSTON — Are the spirit of the times and the spirit of the holidays on a collision course? Thanksgiving and Christmas have always been a time of good cheer towards all men (and women), a celebration of our founding fathers giving thanks to their new world, and, for many, the birth of Jesus Christ. But today it could be said that the feeling among many people this holiday season is not one of joy and hope, but a heightened sense of anxiety that threatens to derail the holiday train and throw it right off the tracks. 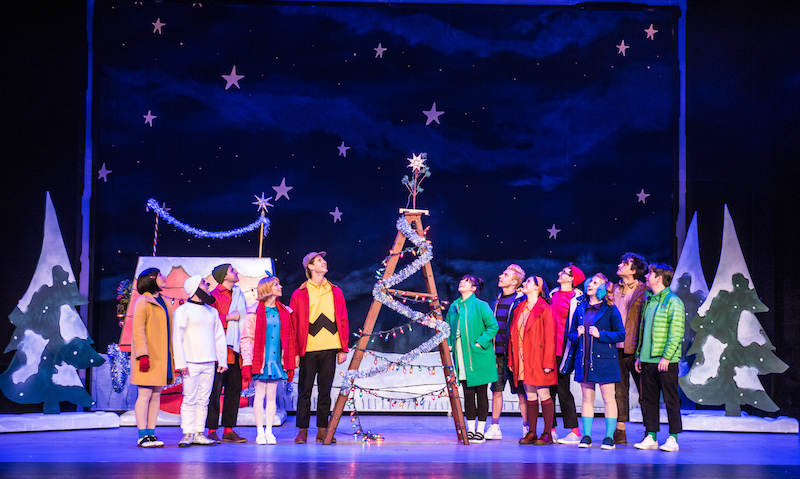 One way to return the essence of the season is to see a “Charlie Brown’s Christmas,” which opens on Nov. 29 for a four-day run at the Boch Center-Shubert Theatre. The unforgettable music of Vince Gueraldi brings people back to this story time and time again and there are several threads to pull on that resonate today-inclusion, tolerance, anti-bullying, and independent thought and speech. This story also works as a reminder of better days and kinder times, when the world seemed a lot simpler and in many ways much safer. Baby boomers grew up with the Peanuts gang and introduced them to their kids, who still love the timeless group of characters. Lucy, Charlie, Linus, and Schroeder are a staple in the line up of holiday must-sees and accompanying the original Peanuts gang will be Rudoph, Frosty, the Grinch and “It’s A Wonderful Life.” Perhaps what remains relevant for so many of us is that in each one of these stories lies the power to defeat the bad guys and believe, in the end, in decency and the basic goodness of mankind. For those looking for fun ways to celebrate the holidays, Charlie Brown’s Christmas runs from Nov. 29 through Dec. 2. Or, by clicking here.